Adventurous, bold, and bow-clad, Merida is brave enough to dream big! 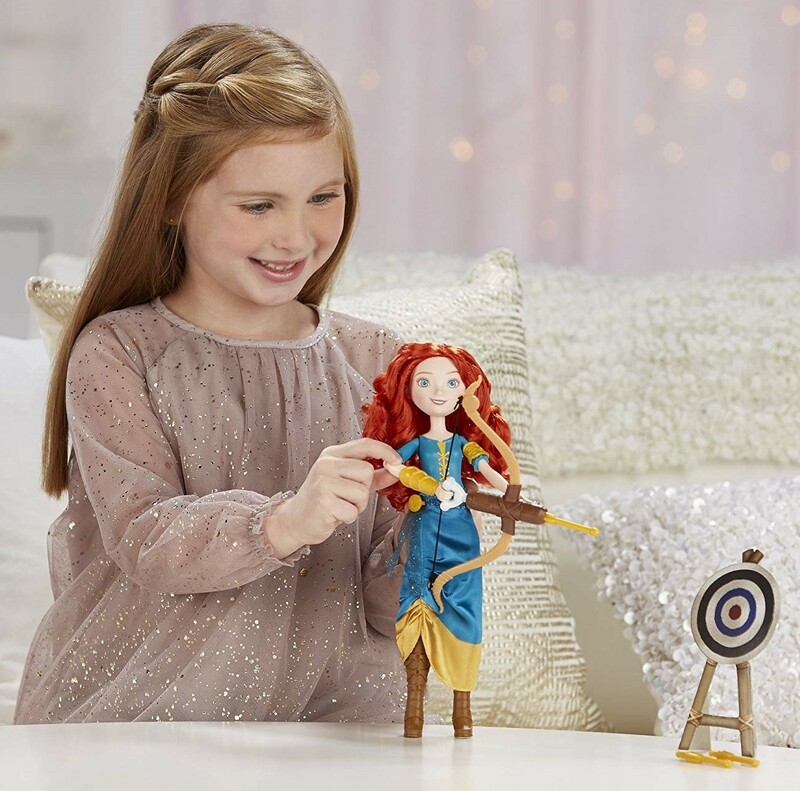 Your little dreamer will love playing out fearless and fun moments from Disney's Brave, as well as imagining her own stories with Merida's Adventure Bow. 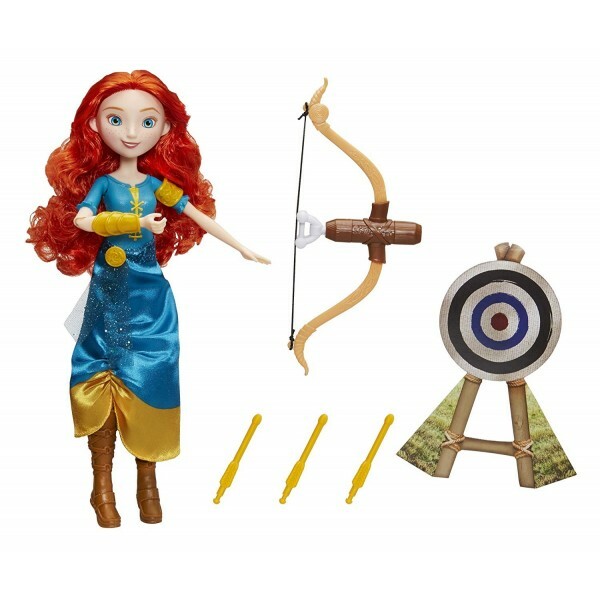 Help Merida load up her oversized, girl-powered bow and release to see the dart fly across the sky! With armor on her right and left arms, the 12" Merida doll is dressed in gear for girls to act out all sorts of adventures. 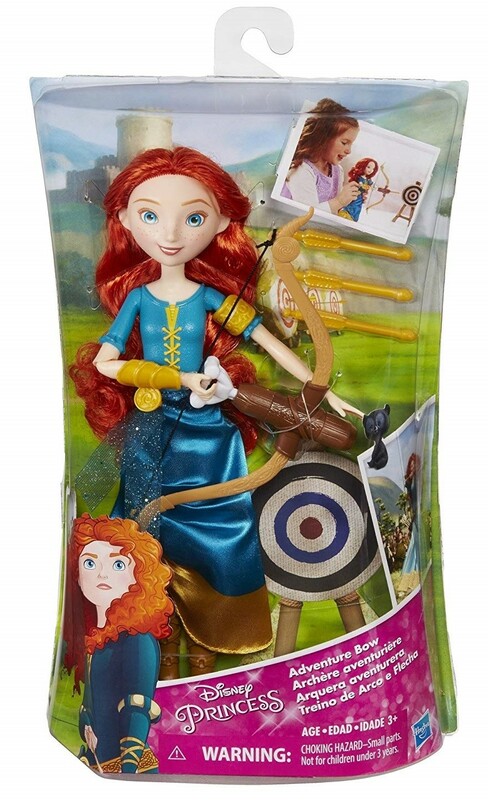 For more products featuring characters from Brave, visit our Merida Collection.